Pineapple Day Spa’s award winning team of professionals provide cutting edge spa and salon treatments in the Hudson Valley with a full service hair salon featuring AVEDA®, skincare by Dermalogica®, massage therapy, makeup featuring bareMinerals®, nail care featuring Shellac®, and more! 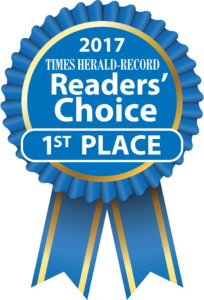 We’ve been voted BEST DAY SPA by the Times Herald Record Readers Choice Awards and BEST DAY SPA by the 2015 Hudson Valley Magazine Best of Hudson Valley Awards. Call us at 845-744-3039, book online, buy a gift certificate, or visit us at 35 Boniface Drive, Pine Bush, NY. Book your spa or salon treatment online, 24-7, with secure online booking powered by booker. Click on a device to book online from your computer, tablet or phone. Purchasing Instant Gift Certificates from the comfort of your home or office. You can email a gift certificate now, schedule it to be emailed later, or print it out to give yourself, 24/7. Click to print or email instant gift certificates now!